Thanks for the contribution to the discussion. The ParralellBarOval looks great, and could easily be adapted to my style of cutting as you pointed out. You could easily cut the index outline using indexes to suite the rough and it's L/W ratio. Then, cut the matching "Omni" rows. The parallel facets are just +- 6,8,10,12 off the 4 center of symmetry indexes. Whatever you need to close the pavilion and stay above the CA is the angle to cut the P1 row, then down the degrees needed to keep the rows parallel and cut to the depth needed to size the widths to match. The crown is a simple traditional brilliant cut style I like the design and will cut one when presented with a piece of inexpensive rough that it will work for. In most cases, this design will not save as much weight as the traditional cuts we were discussing. It will also not be as flexible in dealing with color zoning, dichroism, and hiding inclusions, which are the strengths of the traditional mixed cuts. I would also be concerned with market acceptance on high end gem material. 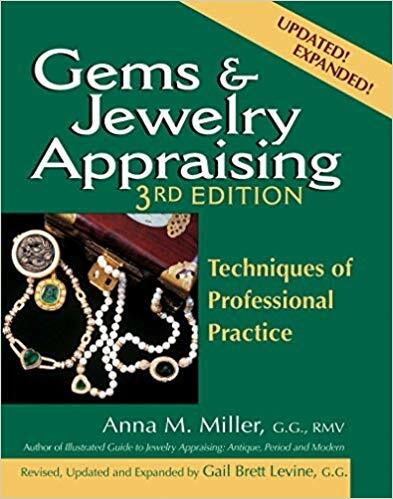 Once again, it is the difference between favoring being a gem cutter, or favoring being a faceter in your approach that will decide which way you choose to cut. On a theoretical level, I am not implying that one approach is better than the other. 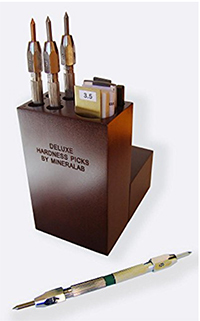 However, in the current gem industry, the economics favor the gem cutter approach strongly. Well, that was an interesting learning process. It took me the whole afternoon to reproduce this in GemCad, but on the way I learned how to create parallel facets and the use of the "Between 1,2" function. Sound like you are starting to become a "gemstone cutter" instead of a faceter. There is a difference. Thanks Steve. I totally agree. After I spent a few weeks with two different teachers to learn this and also recutting I feel like I gained a skilled that I always knew was missing. Now I understand how to "ride" the stone in a way I didn't understand before and Im feeling very confident about it. I'm going to be teaching these techniques in my upcoming classes at Institute of Gem Trading in Bangkok. This evening I got back to my marble, cutting the crown of the 'traditional' oval with no problem, following the principles of the pavilion described earlier by 1bwana1. I started the first tier at 45 degrees, progressing to 47 degrees at the narrower ends. The next two tiers fell into place nicely with three degree steps, keeping the apex of the facets in each tier level by adjusting the angles slightly. The third tier became the stars, meeting the table almost spot-on. I suppose one could polish the third (star) tier after the table to get the meets precise, but as this was a marble cut just to get the hang of the facet placement I didn't polish it. Thank you Steve for your introduction to this technique. Next I have to tackle Shifter55's parallel bar oval pavilion. I am very happy to hear that the technique worked out for you. It is a start to a very powerful method of cutting, that gives high weight retention, and produces attractive, marketable stones. It sounds like you ended up putting a matching "portuguese" style crown on your marble. This works well for medium to light colored stones. If the material is dark, or an expensive, traditional stone like Ruby, Sapphire I suggest you put a traditional brilliant style crown on it. For the pavilion the step cut style works best on dark stones, and provides even a higher weight retention. This is because unlike the portuguese style where the shape of the facet changes with the difference in angle between the tiers, the rectangular shape of the step cut bottom facets do not change shape due to changes in angle. This means that you can more closely match the finished shape to the rough. You can cut a very deep stone around the girdle, then cut a degree above the critical angle of the material until the bottom "meets". Finally you can cut the center row at an angle that fits the rough shape and gives you a nice proportion between the rows. You can even vary the angles between sides and ends a small amount and the stone will look great. This flexibility is why most of the really expensive stones are cut in this fashion. Step cut pavilion, and brilliant cut crown (mixed cut). Keep in mind, that this method works just as well with almost any shape, round , oval, pear, heart, triangle, or cushion. No diagrams, or GemCad needed. This week finished a fantastic Mozambique Cuprian (Paraiba like) tourmaline in this fashion that started at 14.24 cts rough, 12.89cts preformed, 8.05cts finished. Approximately a 57% recovery, no window and would get an "excellent" cut grade from GIA. 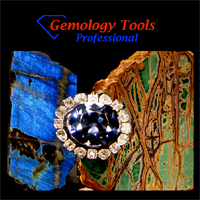 Every percent counts when working with material that sells for many thousands of dollars a carat. Good luck in your cutting! As you rightly describe, the step-cut pavilion/brillian crown (mixed cut) is very flexible and can produce high weight retention. I am familiar with that style of cutting but struggled with Portuguese-style oval pavilions until helped by your description of how to go about selecting intermediate settings for successive tiers and systematically changing angles from broader to narrower facets to keep each tier level. Part of my problem was starting out with equal-sized girdle facets, something inherited from the meetpoint brilliant oval designs of Long & Steele, and then running out of material at the corners. In your terminology I am more a 'faceter' than a 'gem cutter', but am pleased to add yet another techique to my repertoire. There is always more to learn. Steve, Just finished a 16x12 Amethyst using your posted methods and worked out great, I also added 4 more culet facets, probably a mistake as they ended up at 40.5 degrees and at a slight tilt they window, will know better next time. Would you mind sharing with us your method on a trillion shape? The method works great on almost any shape. The basis for the system is the symmetry you are cutting. A trillion has three side, so three fold symmetry. The first step is to find the center of symmetry on each of the sides. To do this simply divide the the number of indexes on your machine by the symmetry. Since the 96 index wheel is the most common, we will use it in this example. Assuming the center of the first side is at 0 (96) the the center of the second side is at 0 + 32 = 32, and the center of the third side is at 32 + 32 = 64. Now we just need to describe the facet positions in relation to the center of each side. All the facets will be cut as either an A row Facet index, or a B row facet index. The girdle will be cut on the A row indexes to shape the stone. The larger the difference between the indexes, the more curve the trillion will have. In this example we will use the minimum curve because this normally gives the highest yield, and to me the most attractive shape. The number we cut will depend on how many facet we will cut. More indexes will make each facet relatively smaller. Small stones should have fewer facets, and large stones more facets for the best appearance. As with the oval you just finished, cut as many rows as needed to close the culet, staying above the Critical Angle, and control the shape of the facets by the difference in angle between rows. Say hi to your Wife for me, and ask her to update me on Horst's condition. I was concerned about his health last time we all had lunch together. Last edited by 1bwana1 on Tue Jun 05, 2018 8:50 am, edited 2 times in total. Thank you for all the info in this cutting style. Will be giving the trillion a try in a few days. I will give her your message. As far as Horst , I saw him a couple weeks ago at his home and hes not as mobile as he would like but still sharp as a tack. His son has seemed to come around and more health supporative towards his father.